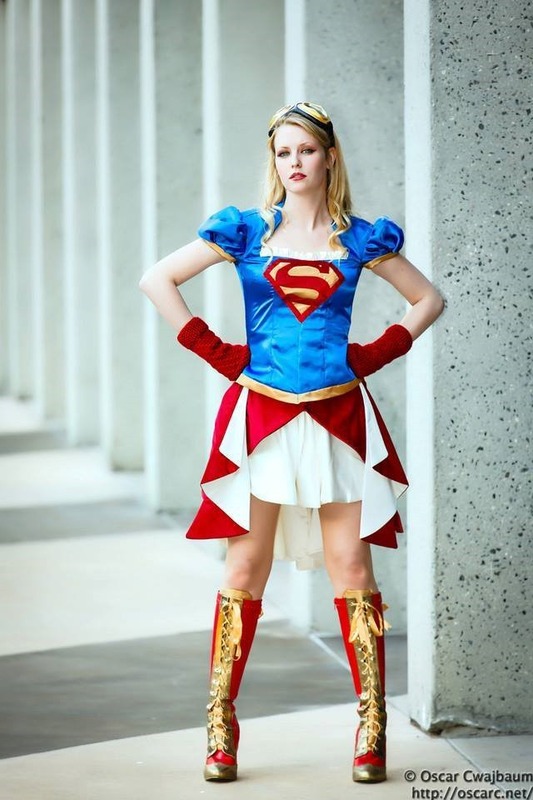 Maid of Might is a longtime fan of comics and an avid comic book collector. 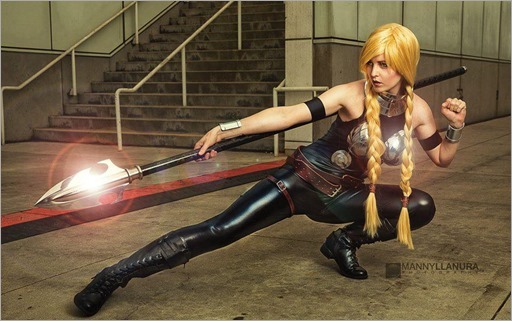 She has turned her love of the characters, that she’s been admiring for years, into her amazing cosplays. 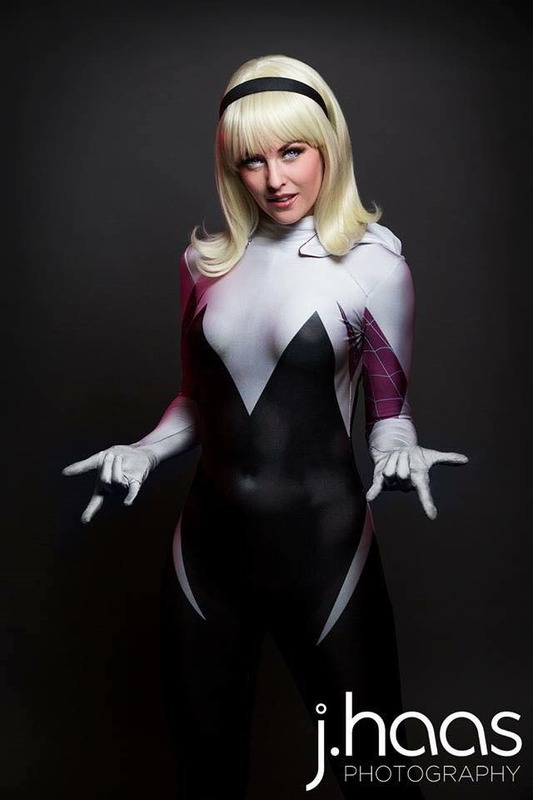 Over the last few years, Maid of Might has created many amazing costumes including her quintessential Spider-Gwen cosplay. 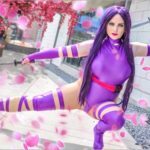 Find out more about this very talented cosplayer in our interview below and witness some of her excellent cosplaying work. 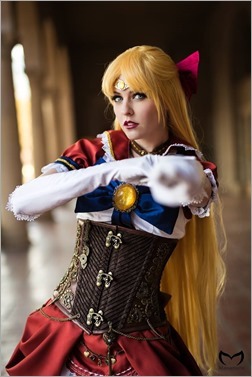 What was the reason you decided to start cosplaying & when did you start? I started cosplaying in 2010. A few guys from my local comic shop were going to WonderCon in San Francisco and I wanted to join! 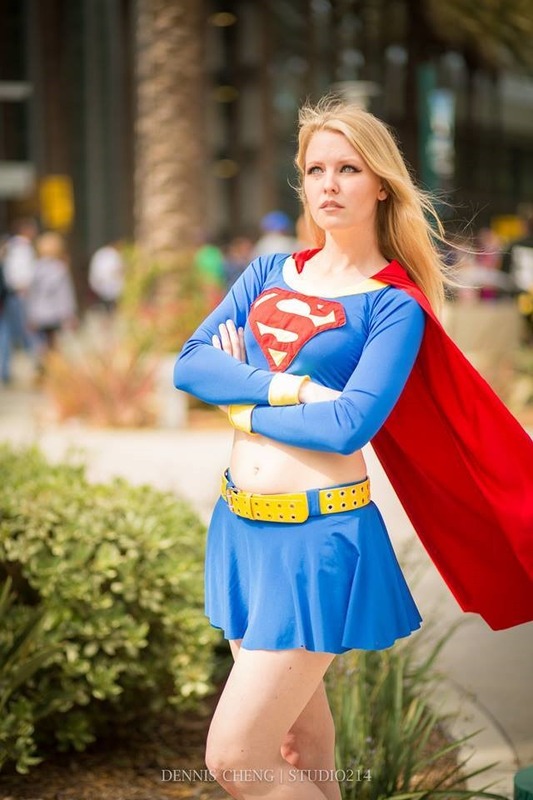 I made my first Supergirl out of exercise clothes and a cut up t-shirt, a cosplayer was born. What made you think – “I want to do more of this!”? 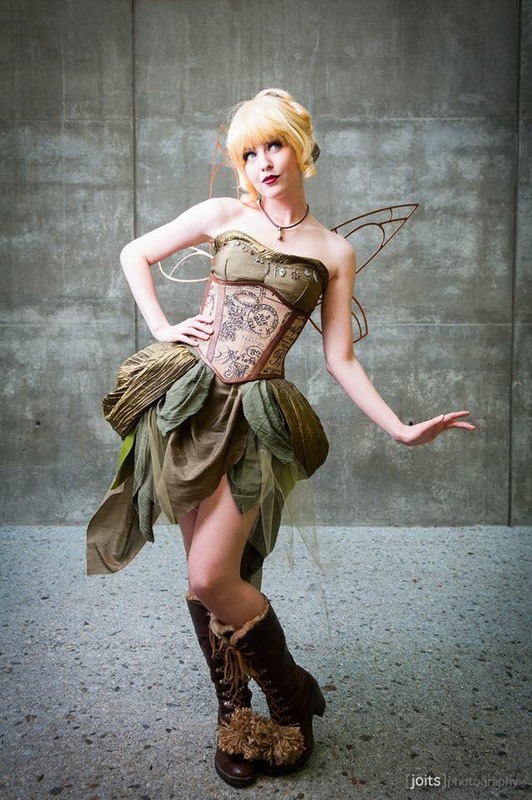 Have you done any modeling work, outside of cosplay, or is that something you’d consider doing? While cosplaying I never truly believed myself to be a model. I always thought, “I’m just a big dork in a costume and people happen to want to take picture of me.” But through cosplaying I have gained so much confidence in myself and have started branching out into some mild modeling, it’s been a blast! What comic books are some of your current favorites? I am an equal lover of both DC and Marvel, Supergirl is in my roots (hence my cosplay persona “Maid of Might”) but I have love for all sorts of characters. 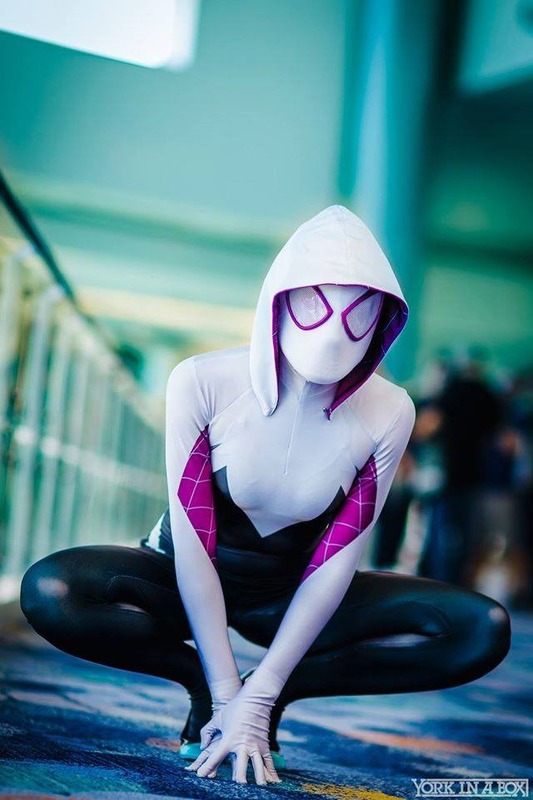 Spider Gwen definitely has to be my most favorite Marvel book and I enjoy loads of Image and Vertigo as well! Which are your most treasured comics in your collection? My Supergirl #1 Signed by Micheal Turner is probably one of my very favorites. I have about 8000 comic books that I have been collecting since middle school so it’s quite hard to pick a favorite! Did you consider yourself a nerd or geek when you were younger, and do you do so now? I definitely wander on the edge of both nerd and geek but certainly find myself over in the geek side of things more often. My fandoms are more comic and movie related than anything else. So what do your non-cosplay friends think of your cosplaying? Most of my non-cosplay friends know what I do. Some don’t quite understand but most of them love it! I have converted several non-cosplayer friends over into my crazy world of costuming and they have certainly been enjoying themselves! If you could pick one motivating factor that makes you keep coming back to creating new costumes and cosplaying, what would that be? The characters. 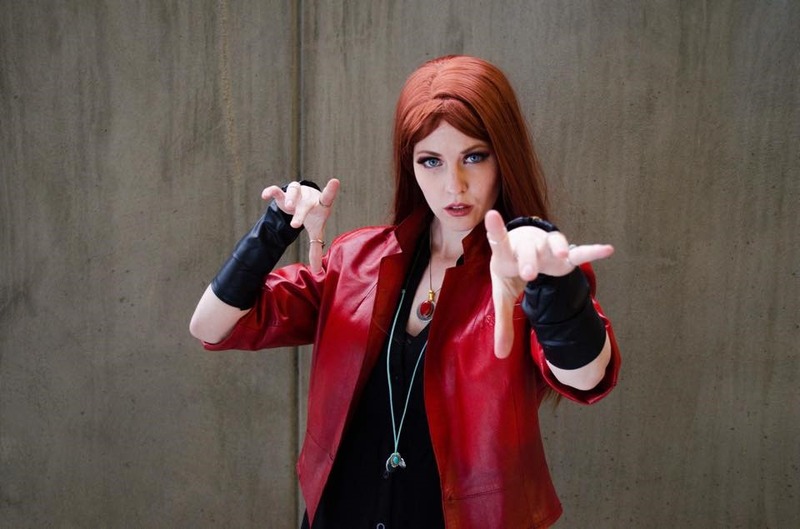 Every single character I cosplay is someone I absolutely love and connect with. I love being able to be creative and bring my favorite comic, movie and video game characters to life. They are all so inspiring! What’s one of your most memorable moments while in costume? Oh my gosh, how do I pick just one?! In general I am blown away by the amount of love I receive about my cosplays at conventions and online. Probably the best moments I have as a cosplayer are when the comic book artists and writers that I look up to compliment my work, it’s surreal for sure! Find a character that you are absolutely in love with and go for it! 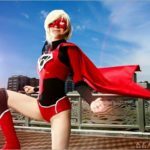 There are so many good resources out there to help, YouTube, blogs and fellow cosplayers. But be warned, once you start you’ll never be able to stop! Do you have any favorite(s) costume from the many that you’ve made so far? I love each and every costume I make but some of my favorites have to been my Slave Leia/Disney Princess mash-ups. I’ve been doing them for a couple years now and have gotten so much love! It’s such an amazing feeling when you take a creative risk and are received better than you ever thought possible. The future is crazy exciting!! I have so many cosplay plans, a whole notebook of them, and a sewing room full of fabric just waiting to be turned into my next project. I would love to start traveling out of CA for cons eventually, maybe even overseas. This year has been a dream and just makes me that much more excited for the years to come! A humungous thank you to everyone who has been so supportive of my crazy geeky shenanigans! 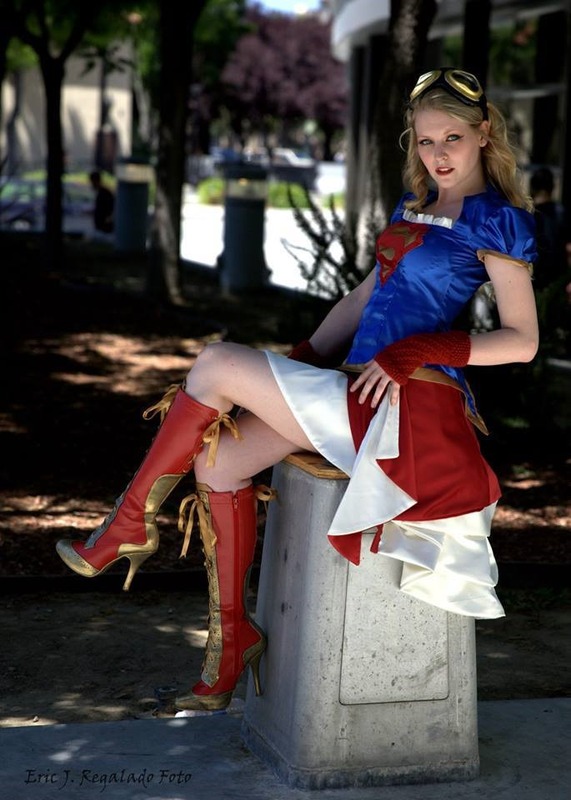 Maid of Might, thanks for taking time from your busy schedule to do this interview! We’re looking forward to seeing more of your great work in the future. Follow Maid of Might through the links below.